If you are injured on the job, the experienced attorneys at Silver Kolker LLP will help you obtain the benefits that you are entitled to under Maryland and Washington, D.C. workers’ compensation laws. 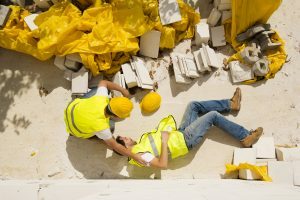 Employers and insurance carriers frequently deny claims for compensation but if you are injured on the job, it is very likely that you are entitled to compensation. The attorneys at Silver Kolker LLP will assist you in filing your claim, contacting the employer and insurance carrier, assisting in the coordination of medical treatment and obtaining compensation for your lost income and injuries. Maryland and Washington, D.C. laws limit the amount of time that you have to file a workers’ compensation claim. It is important to consult an attorney as soon as possible to ensure that your claim is filed within the statutory time frame. Silver Kolker LLP will work to help you receive the workers’ compensation benefits that you rightfully deserve.